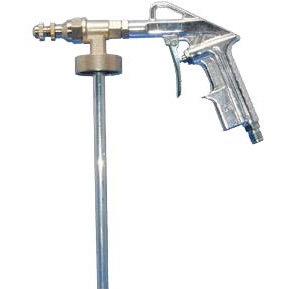 Spray gun designed for the spraying of undercoating. The gun body is brass, the cup is aluminum with a solvent-resistant nylon cover with bayonet seal. The gun is equipped with an adjustable nozzle. 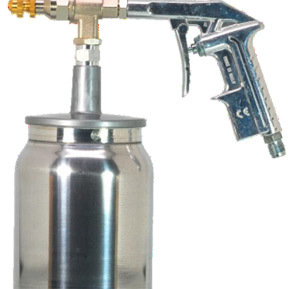 Undercoating spray gun designed for the spraying of undercoating. The gun body is brass, the cup is aluminum with a solvent-resistant nylon cover with bayonet seal. The gun is equipped with an adjustable nozzle.